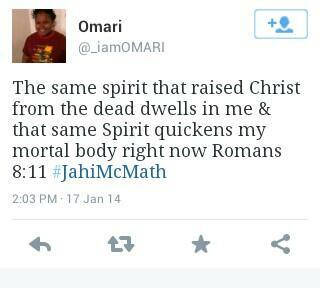 Is This A Sign #JahiMcMath Might Not be Be Brain Dead? This is an alleged video released by Jahi’s family. In their own words, “How can she respond to cold if she’s dead?” The date cannot be authenticated nor do we know that is actually Jahi’s foot. Second. This “movement” can be what’s called an undulating toe flexion. The Family of #JahiMcMath expecting a Miracle? We know Jahi Mcmath’s family believes she’ll suddenly wake up and God will heal her, but are they expecting a resurrection? I came across a tweet from Jahi’s uncle which made me wonder- They have to accept she’s dead if they expect a resurrection. Romans 8:11 talks about the resurrection of Christ. I’m just sayin. 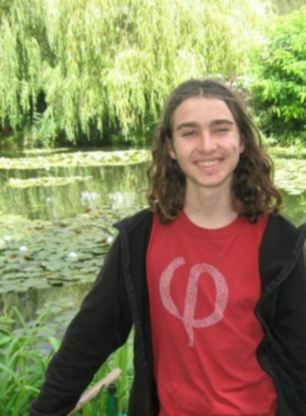 Luke “Sasha” Fleischman is a Senior at Maybeck High School in Berkeley. He fell asleep on an AC Transit bus riding through Oakland on Monday night when a 16 year-old Oakland High boy set him on fire Oakland PD says because he was wearing a skirt. Police say the 16 year-old Oakland boy boarded the bus near his school and saw the 18-year-old victim sleeping in the back of the bus wearing a skirt. He then set Sasha on fire. The victim woke up and tried unsuccessfully to put out the flames,while the other passengers on the bus rushed to the victim to assist him. The bus driver said he did not immediately recognize what was going on and pulled over a short distance later. All passengers exited the bus including the suspect. The suspect, Richard Thomas, has been charged with aggravated mayhem and felony assault resulting in serious bodily injury, according to the Alameda County District Attorney’s Office. Thomas also faces hate-crime clauses on both counts, prosecutors said. The suspect was in court Thursday and according to the arrest documents he set Sasha on fire “because he was homophobic.” He remains in custody at the Alameda County Juvenile Justice Center. His family denies he’s homophobic. “He didn’t know it was going to be like that. What kind of boy is he? He’s a good kid. He’s a very good kid. Why did he do it? I don’t know. He was joking around, that’s all,” the woman said. Thomas’ mother, who identified herself as Ms. Jackson and spoke off-camera, saying she did not believe her son was guilty of a hate crime. “The intentional and callous nature of the crime is shocking and will not be tolerated in our community. Our thoughts remain with the victim and the victim’s family in wishing for a full recovery from the extensive burns suffered as a result of this crime,” she said. A fund has been set up to help Sasha Fleischman with his medical bills. He’s in stable condition with 2nd and 3rd degree burns at St Francis Memorial Hospital. The students of Maybeck High School wore skirts today to support Sasha.